Manchester United have been handed a huge boost as reports suggest that Spanish goalkeeper, David De Gea is no longer interested in a move to Real Madrid. The 27-year-old former Atletico Madrid man has been the subject of interest from the European champions for a number of years and was extremely close a move to the Santiago Bernabeu. Only a paperwork gaffe ensured that he stayed in Manchester, promptly signing a four-year deal at the club. The player has been exceptional this campaign, registering 13 clean sheets in the league, a tally no one man can match in the division. Calciomercato Web suggest that De Gea will stay in England instead of making a return to Spain as he is impressed with the ambition showed by United in recent transfer window. United have signed played like Zlatan Ibrahimovic, Paul Pogba and Romelu Lukaku in the last 18 months, but the imminent signing of Alexis Sanchez is believed to be a game changer for us in the attacking department. Real Madrid have been interested in signing De Gea for years, but the uncertainty about the direction the club is facing is throwing huge doubts into the 6ft 4in goal custodian. Speaking to Sky Sports, he said, “Being a player and a part of this club is special, so when you get to wear the shirt, you go to away games, that’s something you are always proud of and is very special. “Being part of such a great club like Manchester United fills you with emotion and you gradually realise how much the club means to the fans and the people who work here.” He added. Real are also reportedly close to the signing of De Gea’s International teammate, Kepa Arrizabalaga who currently plies his trade for Athletic Bilbao as Madrid see him as a younger, cheaper alternative to De Gea who will likely command a world record fee to bring him to the Spanish capital. De Gea has earned plaudits as the best goalkeeper in the whole of Europe, as game after game, he continues to wow fans, pundits and neutrals with his remarkable array of fans. 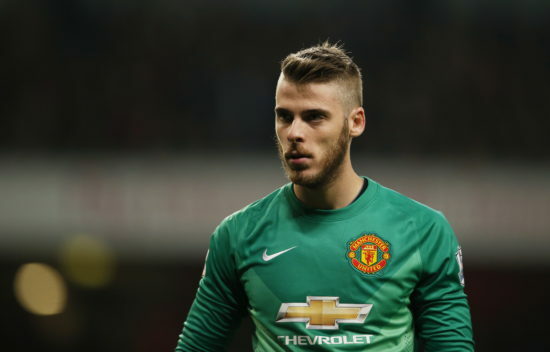 In the December game at Arsenal, De Gea had a goalkeeping masterclass as he made a joint-record 14 saves.